I've always been an optimist. I don't expect people to take advantage of others - to cheat, or lie, or steal. I know these things happen - but I don't assume that they will. When confronted with evil acts, I wonder what part of their past fueled those actions. I'm the one who makes the best of what is dealt. Who rebounds quickly to changes. Who others look to to take charge. I go to bed thinking of the exciting things on my plate the next day. And I wake up and think, "Today. Today will be a great day." But there's one thing that I've been cynical about for almost 20 years. Before I was 9, cancer was the zodiac sign that came after mine. It was a constellation I saw in March. What it became was a death sentence. My young, vibrant, athletic uncle was diagnosed with leukemia. Acute myeloid leukemia. At 35. He had two young sons, a wife, a career, and supposedly, his whole life ahead of him. He lasted for 354 more days. Which was, apparently, his whole life. I was 10 when he died, and 10 year olds know most of what is going on. And though my parents didn't speak in whispers around us, we were aware of his condition most of the time. When he was in remission, we all went to dinner, and we even went to Vegas once or twice. When he was in the hospital, which was most of that time, we visited him every day. Every day. In traffic. Rain or shine. I did my homework in the car, we ate fast food on the way, and we went every day. So, I felt the ups and downs. I knew when he needed a bone marrow transplant, and I knew when the nurses told my dad he didn't qualify as a donor. I knew when he had a stroke, and I knew when he didn't seem to recognize me. I watched a person wither away when I was 10. Cancer was a bad word in my head after my uncle died. Death was now everywhere. I circled the day he died on every calendar I owned for years afterwards. And I knew that a battle against cancer couldn't be won. Ten years later, my grandmother told us she had breast cancer. It turned out that she had been ignoring a hard lump in her breast for months and, like most women her age, never thought about getting a mammogram. She underwent chemo and radiation and went into remission. She was in remission for so long, that I was sure I'd found a new perspective on cancer. Three years later, she started getting forgetful, and we thought she was developing dementia. She would say, "I just don't feel like I'm normal. Something is wrong!" It turns out, her cancer had come back with a vengeance. She and my grandfather celebrated their eighty-first birthdays together with a family dinner in August. Her cancer was officially diagnosed as active the next week. By Thanksgiving, she'd be gone. Her cancer had metastasized to her brain and was affecting her memory. So, she began radiation. It was very hard on her and she went from an extremely active octogenarian to a feeble woman in a wheelchair. She had no short-term memory, and couldn't control her bodily functions any longer. On Halloween, my dad called me crying and said that the latest scans showed her spine was riddled with tumors - at least 20 of them. She was no longer able to make decisions for herself and we decided to try more radiation. Three weeks later, it was clear that wasn't working. We took her home for hospice care and she died the day before Thanksgiving. Four years ago, I started seeing a therapist who changed my life. About a year into our relationship, she started forgetting things I had told her; asking who people were when I told a story. She was diagnosed with brain cancer shortly thereafter. I continued to see her for 4 months, even as she started wearing colorful head scarves, and I had to repeat my stories. Eventually, she couldn't make it into the office anymore and she invited me to a session at her home. After that memorably awkward appointment, I stopped going to therapy. She called, and I feigned busyness. She was still very important to me, but it was getting too hard to watch her decline and I knew what was going to happen. What always happens. Two months later, I received a call from her daughter with the news and an invitation to her funeral. Last December, after my sister's birthday dinner, my grandpa told us that he was diagnosed with lymphoma. Diffuse large B cell lymphoma. A particularly aggressive form of non-Hodgkin lymphoma. He did one round of chemo, then another. His latest batch of chemo caused him to become muddled. He couldn't remember things we had told him or who we were. He started to fall down a lot and lost strength in his legs. It also made his diabetes exceptionally difficult to control. His most recent scan showed that all of his tumors were gone except for one. His doctor said that he could do another round of chemo or he could try radiation, a more targeted approach. He opted for the radiation and started it three weeks after his chemo ended. After one week of radiation, he started to notice new tumors - ones he could see and feel. He told the doctor and the doctor said sadly, "Then...I guess we made the wrong decision with the radiation." As of today, my almost-86-year-old grandfather faces another decision - to do another round of chemo (or maybe as many more as he can handle), or to give up. He's lived a long life and has plenty of stories to tell. But cancer will still win. Earlier this year, a friend of mine was diagnosed with breast cancer. At 28 years old. She has been through 2 rounds of chemo, has lost her hair, and about 20 pounds. She lost her boyfriend, her career, and her self-confidence. She had to have her eggs harvested because she will likely go into menopause from the chemo. After the chemo, she will go through radiation, and then a double mastectomy and reconstructive surgery. All before 30. She may get through this. I say that rationally. But, what do I think will happen? What do I expect to happen? Some of you may read this and think it's awful. Others will think it's sad. You know what? It's both. Cancer is awful and it's sad. I still have nightmares about my uncle's illness. And when I was a caregiver to my grandma, I would go home every night and cry. When I think of my dad, who's about to lose every member of his family to that bad word, I want to cry now. My cynicism about this issue doesn't mean I'm not hopeful for a cure. I hope that one day we find something that can beat cancer. I hope that I can stop marking the deathdays on my calendar like I do the birthdays. But until the cure is developed, I don't assume that anyone is going to make it. Because I've never seen it happen. 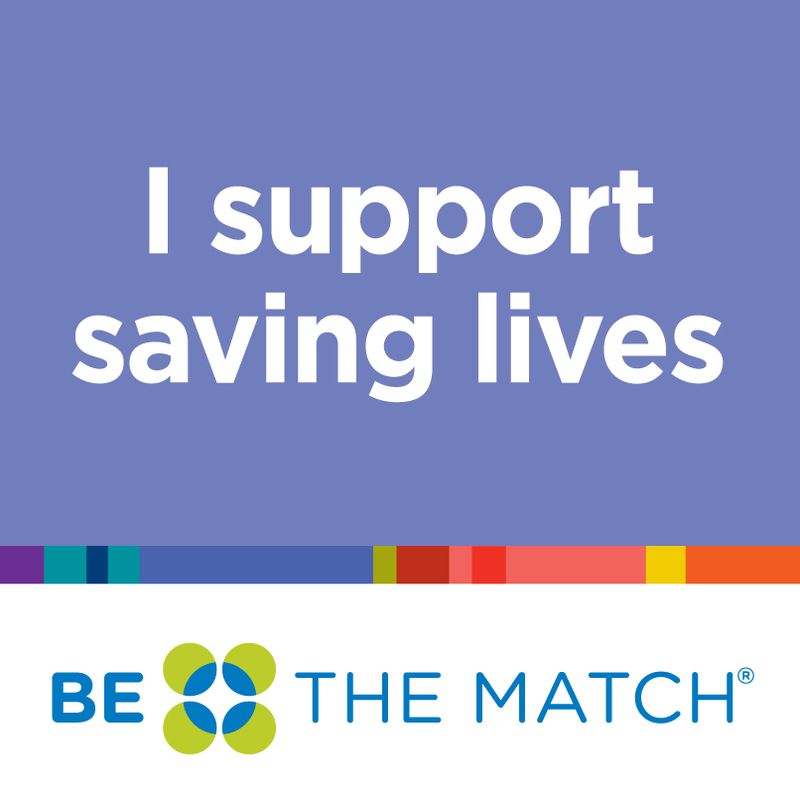 But I do encourage people to donate platelets and to sign up for the marrow registry. I did both for the first time on the 8th anniversary of my uncle's death - when I was 18. I still make a donation every year on that date. 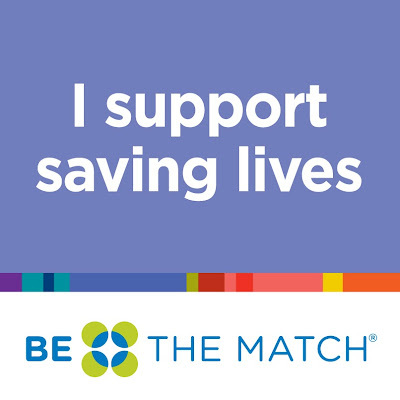 Learn more about and sign up for the National Marrow Donor Program here. I donate platelets at the hospital where my uncle was treated, but you can find more information here on the process and where to donate. With our help, maybe there will be a day when cancer doesn't win. I'm sorry you've had such horrible luck with cancer. When I was little, I didn't even know what cancer was until I was told by my parents that I had it. I had chemo for a year and radiation every day for a month and I have been cancer free for 15 years. Please remember that cancer isn't always a death sentence. Sometimes things can go right and cancer loses. Good luck to you and your'e friend who is fighting this horrible disease. Thanks for your comment! I'm so glad to hear that you've been cancer free for 15 years; that is fantastic! I hope you aren't offended by my post, I tried to be as honest as possible about my own feelings towards this subject and what emotions that diagnosis evokes in me. I wasn't offended. I know how cancer can change your life even if you aren't the one with it. I've had loved ones pass away from it too. It not easy to watch someone you love wither away before your eyes. I just wanted to let you know that it is possible for cancer to lose.